This is one cheeky little number. 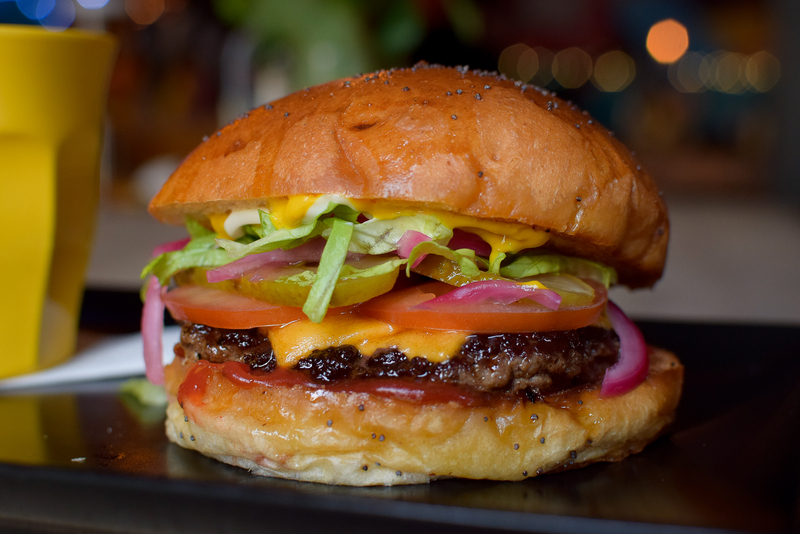 Butter-griddled ground chuck steak with classic melted burger cheese, ketchup, thick-cut gherkins, our home-pickled red onions, American mustard, mayonnaise, shredded butter leaf lettuce & sliced plum tomatoes. A top seller here at Kult. It’s like a posh Big Mac. On steroids.